Goodson Acura of Dallas locally owned and operated, serving the Dallas and Fort Worth communities in Texas since 1986. As one of the first 10 Acura dealerships in the nation, we have been here from the beginning and have a thorough understanding of the Acura vehicle line up. We've won the DealerRater 2017 Dealer of the Year Award for Texas and the 2016 Precision Team Award from Acura (13 times in 31 years), which demonstrates our ability to effectively serve our customers on a day-in day-out basis. We offer great benefits, work/life balance and ongoing training which will help you not only here at Goodson Acura of Dallas but deep into your career! Add to your experience, develop your skill set and realize your potential with our team! We are always looking for bright, motivated, and energetic professionals to add to our world-class team. Our employees work together towards a common goal to offer the best service in the industry. If you feel that your skills would be a valuable asset to our customers, we want to get to know you! Please take a look at our open positions on the Careers page and apply today! Excellent medical, dental & vision plans with company contribution towards premiums. We believe in ongoing education, training and development. We even provide paid training to technicians! Our dealership is located right off the Dallas North Tollway to make it easy to commute to and from work! We have an outstanding company culture, facilities and work environment for all of our employees. Be believe in company service recognition. Our awards include rings, diamonds & a Rolex watch for 25 years of service! At Goodson Acura of Dallas, we strive to be much more than a business. We are partners with our community and as an employee, you will get a chance to give back as well. We partner with many local organizations, charities and events with the goal of supporting our local community and the less fortunate. We also donate to the Childrens Hospital, The Family Place, Wipe Out Kids Cancer and Legal Hospice of Texas! 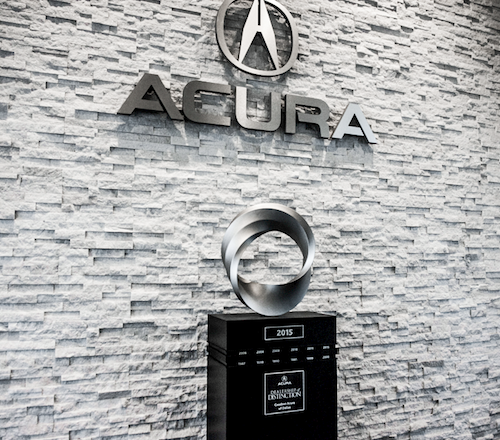 Ready to join the best Acura dealership in DFW?